I’ve decided to join the Top 10 Tuesday Weekly fun on my blog because why the hell not? Top Ten Tuesday is an original feature/weekly meme created at The Broke and the Bookish. If you want to join in the fun, hop on over to their blog to see what it’s all about! This weeks topic is the Top 10 Hyped Books I’ve Never Read. I had a teeny bit of trouble gathering ten books for this list because I am always reading the hyped up books when they come out. I just can’t help it. I mean what’s the point of all the hype if the book isn’t any good? So the books I put on this list are the hyped books I have yet to read, because lets face it, I’m going to read them sooner or later! I’ve seen the movie and I’ve been slacking on picking up this book. Maybe 2015 will be the year I do it! This has been recommended to me from several different people. It has won awards. The plot sounds like a book I would love. All this awesomeness and I have yet to read it. I am slowly but surely getting through The Mortal Instruments series so I can finally start the prequel to it all. I’m only several years behind the hype. Naturally after reading Eleanor and Park I wanted to immediately start Fangirl… but…but…yeah. I still haven’t read it. Booktube exploded with this book and has literally hyped this book up so much that I want to go as far as to purchase the UK covers. Come on, just look at the beauty of them! Yes this book is huge and wordy. And yes I will eventually read it. I just have to grow some balls first. I am finally going to cave and read this book. I purchased it and it’s close up on the TBR list. Look out for it soon! Same goes for this glory! After seeing the hype for Six of Crows, a story held in the same world as this one, I will naturally have to read this one first! This freaking book has been taunting me on my TBR list for so goddamn long. I’ve already started it but have since put it down. Not because its not interesting or good, I’m just weird like that. Ok, this book. Do I even have to say anything? It was so good that it went from being a standalone book to a freaking series. It’s so hyped I don’t even know what to do with it! Duh, I will read it. Well there you have it. The Top Ten Hyped Books I’ve Never Read. Let me know what you guys think of my list and share with me what are some of your hyped books you have yet to read. This entry was posted in Top 10 Tuesday and tagged Brandon Sanderson, Cassandra Clare, George R.R. Martin, James Dashner, Jandy Nelson, July, Leigh Bardugo, Maggie Stiefvater, Pierce Brown, Rainbow Rowell, Sabaa Tahir, Top 10 Tuesday, Young Adult. Bookmark the permalink. ← July 2015 TBR List! I want to read Red Rising too and do something similar where I put a book down (even if I like it) and then forget I was reading it. That’s not weird! I really want to finish it though. I can’t move on if I don’t! Ah… such a toughie because I really love The Raven Boys and Fangirl. I’d highly recommend those two. The Maze Runner was a first in a series of pure frustration. I really have not liked any of James Dashner’s books. However, I really liked the movie. Go figure? An Ember in the Ashes was the first book in 2015 that I reread right away because I feel I missed so much on the first reading. It was good, I thought. A few of your choices could’ve been on My TTT List if I had thought about them. Such great information! All these books will eventually get read as soon as possible! I hope you find the time to read these books that you do want to continue with! 🙂 Thank you for stopping by my blog! Oh I definitely will! It’s only a matter of time. 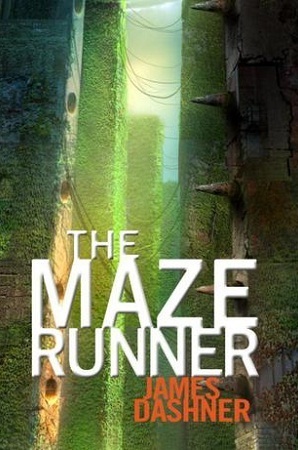 The first Maze Runner book is easily the best of the series. Personally, I enjoyed The Infernal Devices more than The Mortal Instruments – the real fun is finding all the connections. Yeah I want to take my time with The Mortal Instruments so I can gather all the information I can to connect the dots in future books. Welcome to this weekly meme! You say “join the fun” now…but these lists will ruin your life in the best way possible haha. In hindsight, I should have joined yearlong Sanderson Year Of Cosmere thing happening as I’ve yet to read Mistborn, but you’re right, the UK covers are so much nicer! I am ready for the life ruining! I definitely recommend The Raven Boys. Though the beginning is rather slow it does get better. I’ve been hearing so much good things about The Raven Boys! It will definitely get read soon! As for the Maze Runner… no rush. These are definitely on my list. My hyped up book that I haven’t read is Fault in the Stars. I just.. Idk. I don’t want to read it. lol. Not sure why. I get that a lot from people! It is a good book, but it won’t be for everyone though. Thanks for all the recommendations! I will definitely read these eventually.